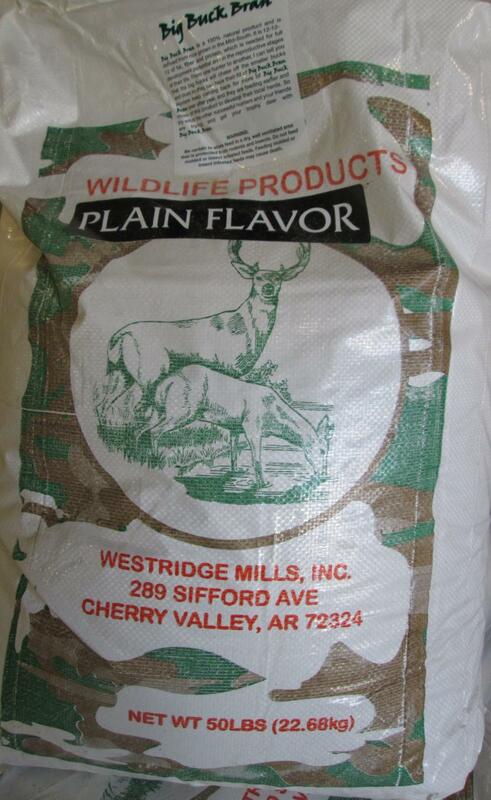 Searcy Farm Supply is one of the largest food plot product suppliers in the area. 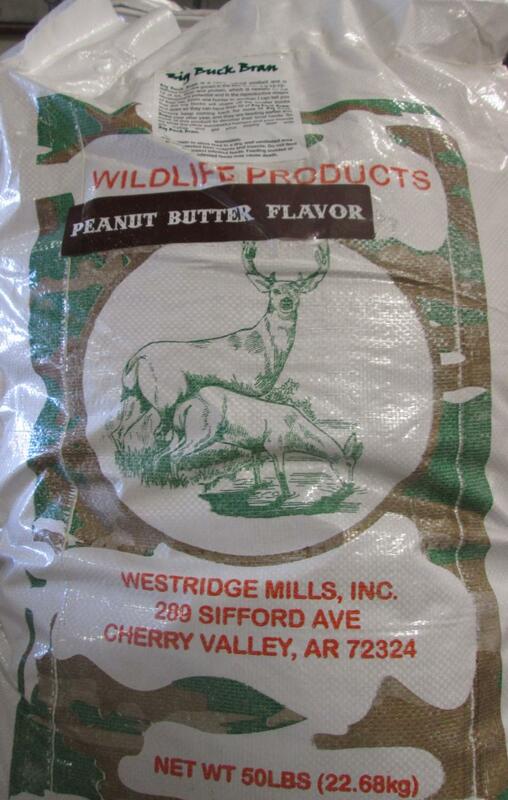 We carry products like Tecomate Seed, Trophy Buck blocks, Rice Bran, Peanut Butter, of course, Deer Corn, plenty of deer corn. Nut Grub is coming soon!!! We will be more than happy to help you manage your plots for maximum results. In this video gallery, you will find videos from our own food plots. SFS can help you achieve maximum results. Results from our White County Food Plot and deer herd management. Things get intense around the ol' food plot. 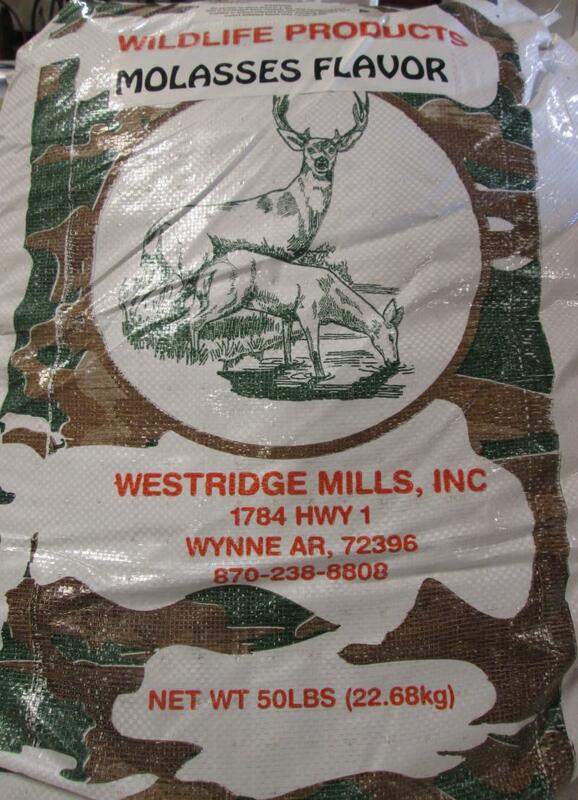 "Big Buck Bran is a 100% natural product and is derived from rice grown in the mid-south. It is 12-12-12 of fat, fiber, and protein, which is needed for full development potential and in the reproductive stages of their life. From one hunter to another I can tell you that the big bucks will chase off the smaller bucks and does for their full of Big Buck Bran. Hunters keep coming back for more of Big Buck Bran year after year, and they are feeding earlier and more of this product to develop local herds. So try what your friends are trying and get your trophy buck with Big Buck Bran products"
The Choice of Professional Wildlife Managers. 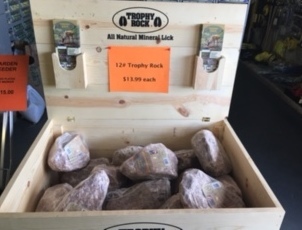 All natural, #1 Selling Trophy Rock. Use year round, no prep needed to attract the big bucks. Deer find it fast and love iit. 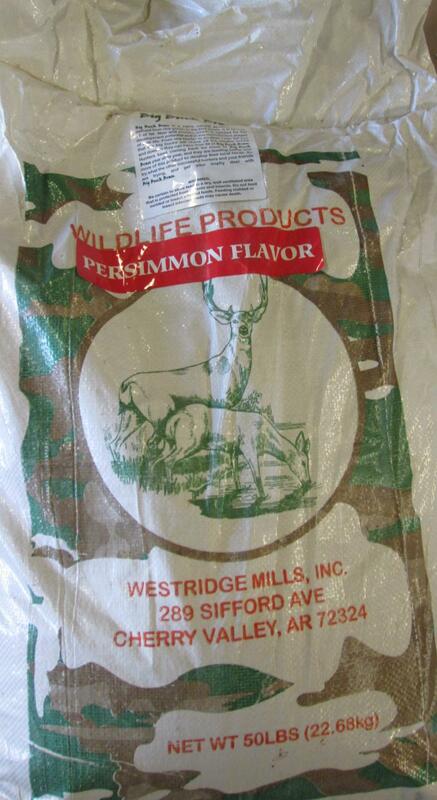 TR is a perfectily balanced mineral supplement for deer. Plain flavor: $10.75 for 50# bag.